Unicorn Play Group is a place where children and parents have opportunities to create friendships in an English-speaking environment. Children and parents experience free play and occasional creative activities in a safe and multicultural place. Price: €6 per family for maintenance and snack including parents’ coffee or tea. Once a fortnight in the lovely satellite town of Majadahonda the creative English school The Apple Tree offers a free mums and tots group throughout term time. It is a place where both parents and children alike get to make new friends. Children experience free play in a safe, friendly environment and parents relax and drink tea and coffee. “Under the Fig Tree” takes place on Wednesday mornings from 10:30-12:30h, either in the courtyard under the magnificent fig tree or indoors if the weather is inclement. You can find more information on their Facebook page. Price: €5 fee per family, which includes snacks. The oldest and most well-known English language parent-and-child group in Madrid is called Sticky Fingers and also takes place at St George’s Anglican Church. Their sessions are on Mondays from October to June. On offer are relaxing conversation, yummy food and drinks, arts & crafts, singing and lots of laughter! For more information, follow their Facebook page. This dynamic, multi-cultural and inspirational group of English-speaking families meets one Sunday a month for a range of activities designed to create friendships among likeminded families from all corners of the Comunidad de Madrid. Over the years sub-groups have been created with more age-specific activities. These include theatre classes and robotics workshops in English. 3-4 families are assigned to each month to organize and run an event which is intended to foster English communication skills and multicultural experiences. Northern Stars relies on active parental participation, regular attendance and the creation of an English-speaking environment. Check out what activities they are organising on their Facebook page. There are four centres in and around Madrid that offer Music Learning sessions in English for young children and their parents. Wiggling, singing, and laughing with your child is so much fun, it’s easy to forget how much learning is taking place! Their research-based curriculum not only develops music skills, it nurtures creativity, self-expression, and confidence while also supporting social, emotional, cognitive, and physical development. They offer classes in Mirasierra on Saturdays at 11 am. If interested in other locations, Majadahonda, Las Rozas and Torrelodones are also thriving studios. 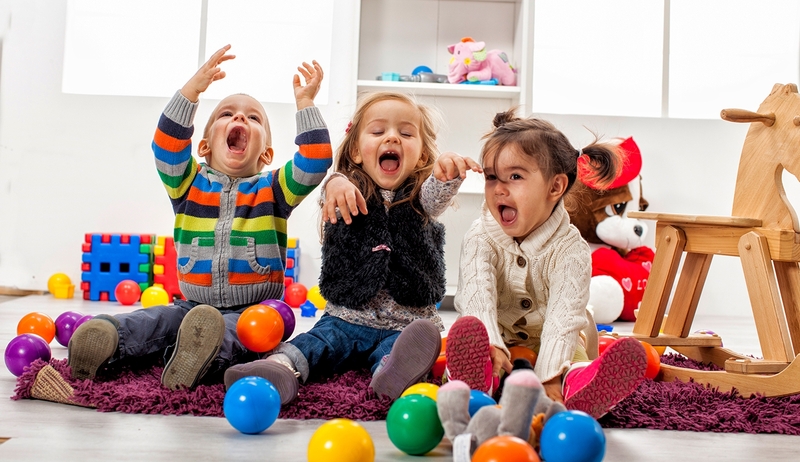 The fabulous child-friendly co-working centre Entre Mamas is looking to start an English-language playgroup in their facilities. The first meeting is taking place on Friday 14th of September at 11:30am. Please send an email with your name and phone number to: valeria.lopezpariente@gmail.com if you would like to go along. There are 5 centres in and around Madrid that offer Mommy & Me sessions in the mornings. Each session lasts 45 minutes, with activities divided by age. “Busy babies” (6-12 months); “Waddlers” (12-18 months), “Movers” (18-24 months) and “Active Toddlers” (2-3 years). These are theme-based workshops designed to help Spanish parents build up confidence in talking in English to their children. Last year’s themes included “detectives”, “robots” and “butterflies”. Over time they have become a magnet for expat parents who are looking for a friendly place to hang out with their babies at a location close to home. Location: La Casita de Inglés in Alcobendas, Barrio Salamanca, Chamberi, Majadahonda, Montecarmelo and Pozuelo de Alarcon. AmyJo Doherty offers her joyful Shake, Rattle and Roll under 5’s musical sessions for all the family at several locations around Madrid. The next weekend session at Little Kingdom, a privately run community centre that lays on workshops for the whole family to take part in, is on September 23rd at 11h. Location: various; check here for venues. Gregarious and highly-respected language school owner Rebecca Gaspar (Becky) is offering space in her flagship school close to Plaza Castilla for any English language Mom & Baby groups looking for a home. Contact her on: contacto@iberenglish.com for more details. 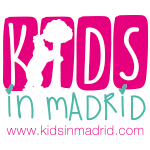 Check out our list of Activities If you’re interested in more things to do with your kids in Madrid. Receive latest listings, promos and more straight into your inbox!